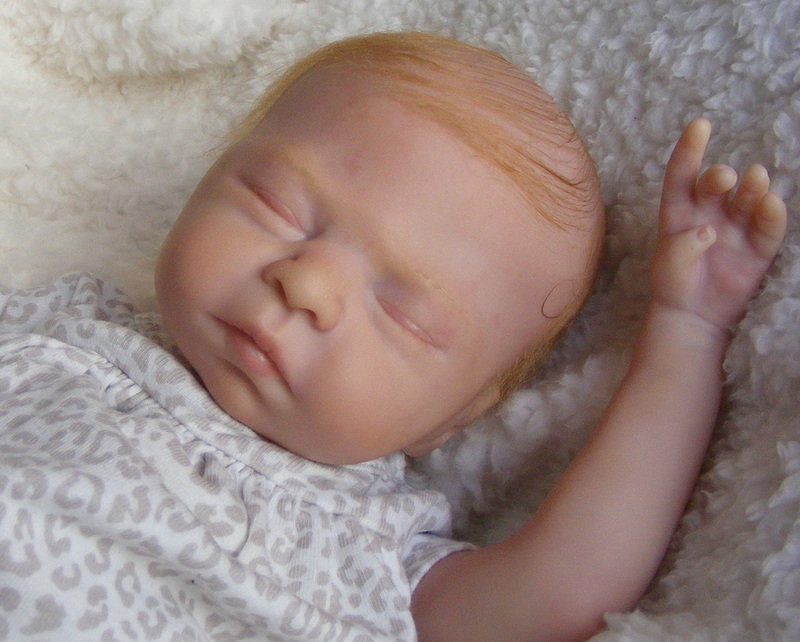 From the amazing "Leah" sculpt created by the talented hands of Sandra White, reborn by Jeni Razoux Little Moon Nursery introduces you to Irelyn Rose. 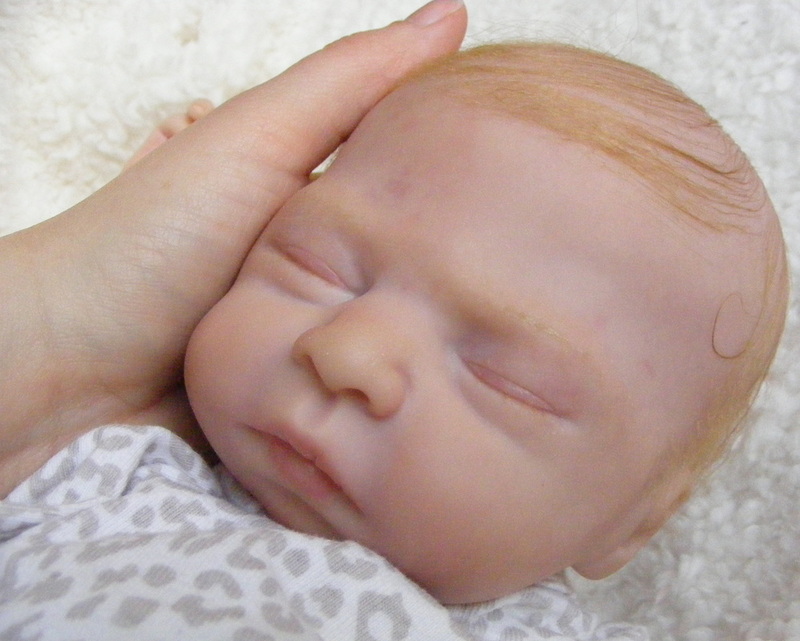 This precious baby girl is painted with many layers of my personally mixed Genesis Heat Set Paints to give her the most realistic skin effect as possible. She has delicate veining throughout her head and limbs. 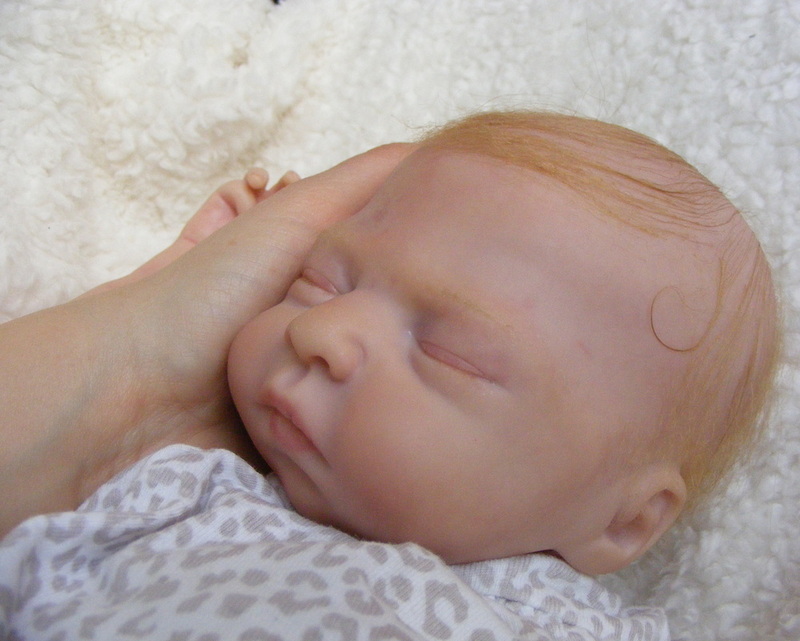 Her skin is textured to give her a unique touch and minor cradle cap effect. Her finely detailed limbs are weighted with fine glass beads and polyfil. Her head and doe suede body are weighted with a mixture of glass bead and poly-pellets and carefully placed polyfil to give her the most realistic weight, look, and movement as possible. Irelyn Rose wears preemie to small newborn clothing. She will come home with a soft baby blanket, her COA, at least one full outfit, at least two onesies, socks, a handmade lovey (my private collection only to be seen at DEDS 2014), three nappies, and a prop pacifier.